A keyboard and mouse may be the preferred input device for PC gaming, but there are others who are more comfortable with a console controller. Anyways, some genres-- like racing and fighting-- work better with a console controller (unless you are willing to fork over money for a special setup, like a fightstick). No matter why you want to use a PS3 controller, we’ve got you covered. Note: you might have heard about MotioninJoy in the past, but it’s no longer a good option due to ads (and possible viruses). More about that below. 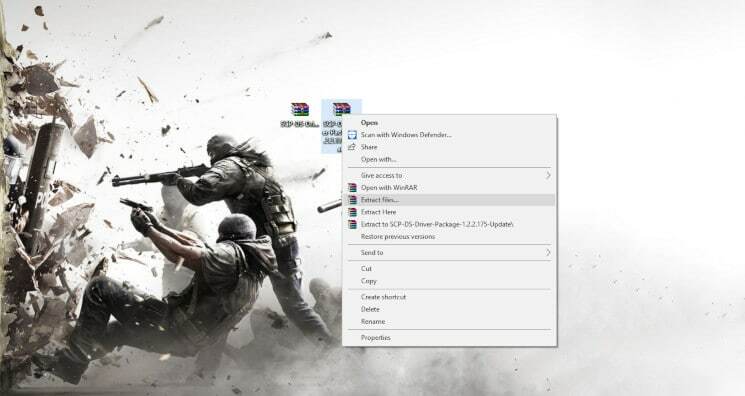 Before anything else, make sure your PS3 is disconnected because if you press the PS button, it will connect with and turn on the PS3, thus not letting you connect it to your PC. Note: Most of you may already have these installed but it’s worth checking to avoid problems in the long run, especially if you aren’t sure if you have these in the first place. The installation process will tell you if you already have them installed so you can just opt-out from the installation process if needed. Visit the PCSX2 thread here and download the latest and updated version of the SCP DS Driver. The folder will be in a 7-zip format so make sure you download and install a file archiver utility for Windows software like WinRAR if you don’t have one yet. Extract the downloaded latest version and latest updated zipped folders. Open the unzipped latest update folder, navigate your way to ScpServer\bin, and copy all the files in there. Open the unzipped latest version folder, navigate your way to ScpServer\bin, and paste all the files you just copied in there. 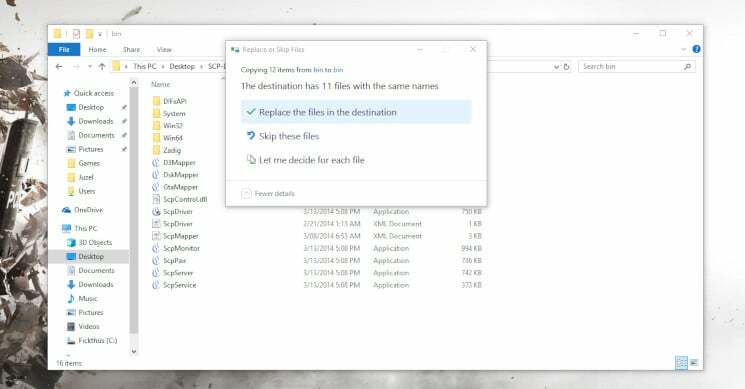 Replace files in the destination folder if you are prompted with a warning. Now that we’re set up, you can go ahead and delete the original, zipped folders: latest update and latest version folders. You can also delete the unzipped version of the latest update folder. From here out all we will be using is the latest version folder. 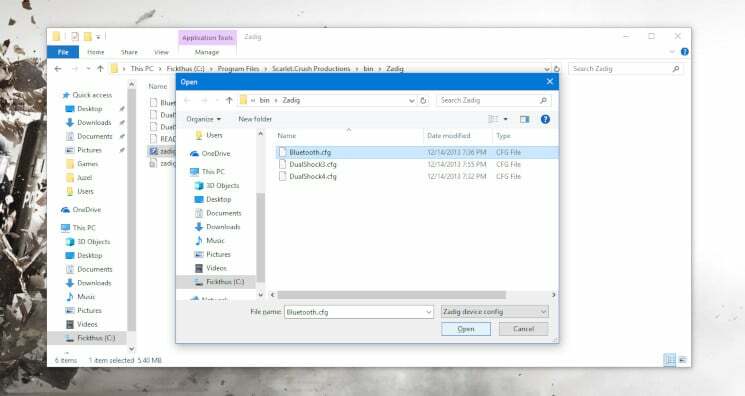 Open the ScpServer inside the latest version folder and copy the bin folder. 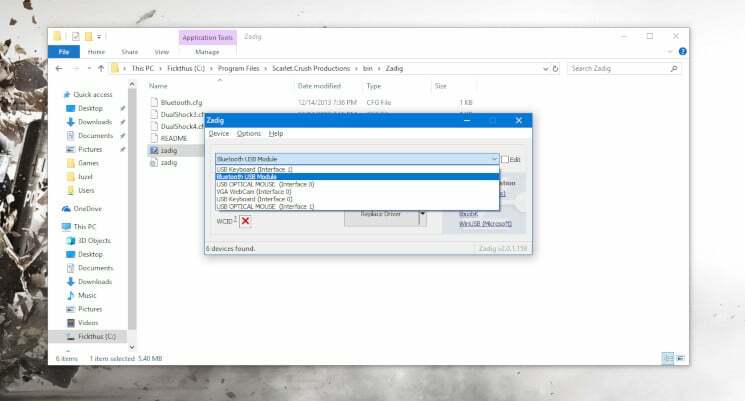 Navigate your way to C:\Program Files, create a folder and name it Scarlet.Crush Productions (since they made the software anyway), and paste the bin folder inside. Click Continue when prompted for Administrator rights. 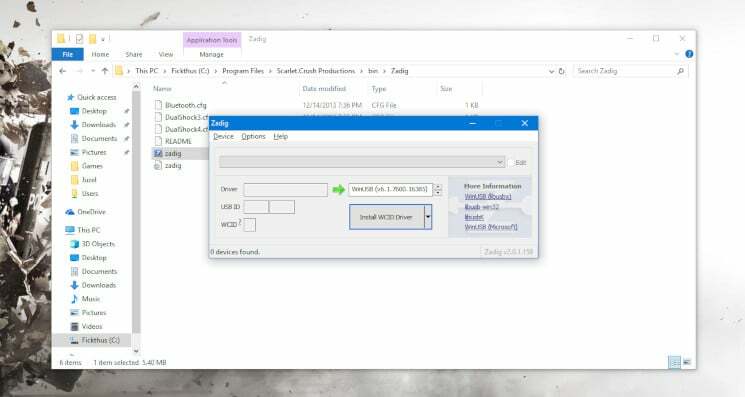 Open the pasted bin folder, right click on ScpDriver application and run it as Administrator. 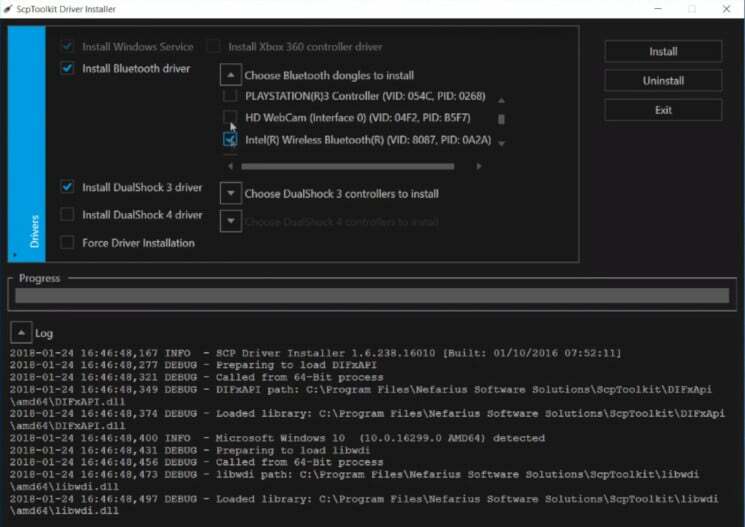 Make sure that the boxes beside Bluetooth Driver (for Bluetooth configuration) and Configure Service are checked before clicking on the Install button. If you want to run your PS3 controller on a PC running Windows 7 or older, then check the Force Install button. 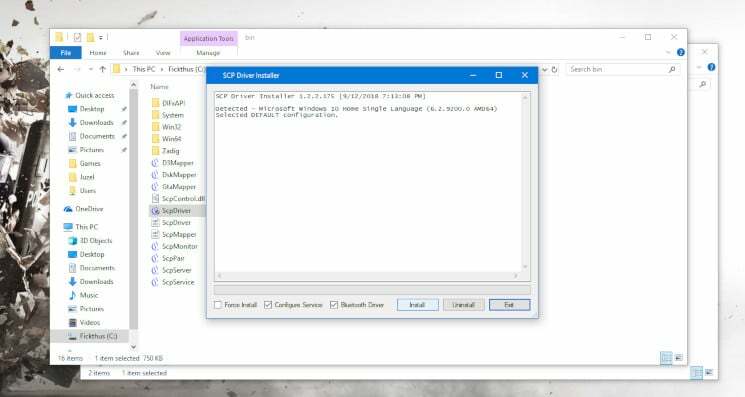 This will install drivers that are already pre-installed in Windows 8 and 10. 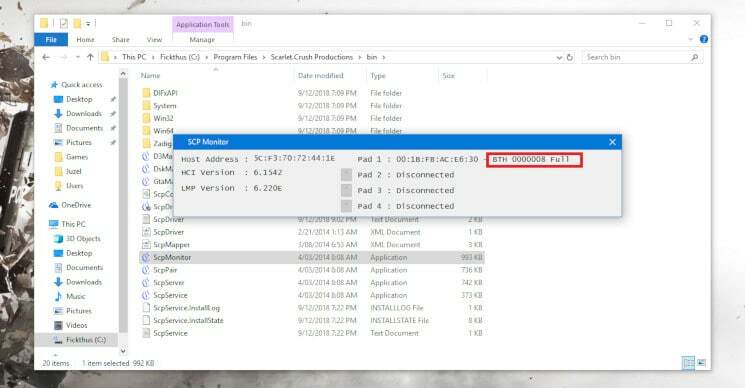 Click on Exit when the installation is completed and open the ScpMonitor application. Your controller should be detected by default since you have it connected right from the start. You can also use your PS3 controller on Steam games as long as the game supports console controllers. This might require you to play in Steam’s “Big Picture Mode”. Unplug and plug your controller back in if the controller isn’t detected. If it shows “Charging” instead of “Reserved”, then the controller is detected and working. 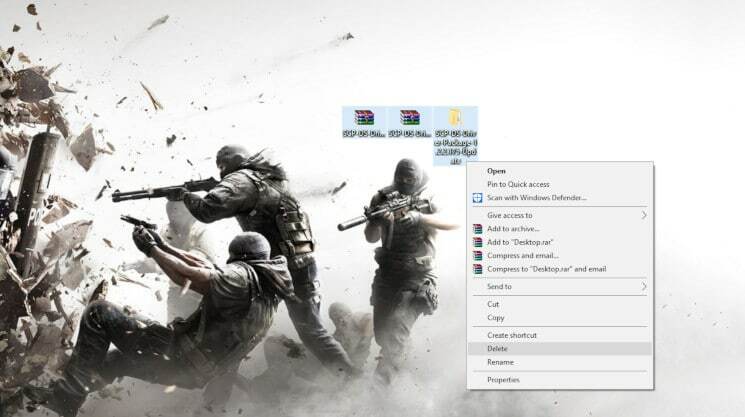 Restart your PC if your controller still isn’t detected. 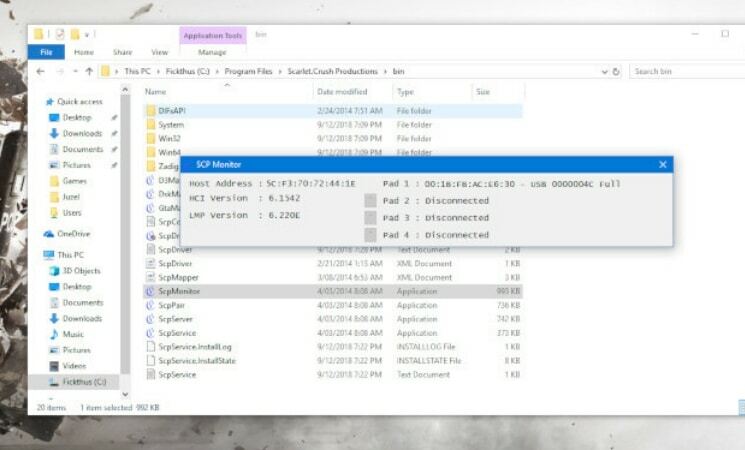 If the Host Address shows Disconnected on the SCP DS3 Monitor software after following the steps above, this means the Bluetooth isn’t supported. 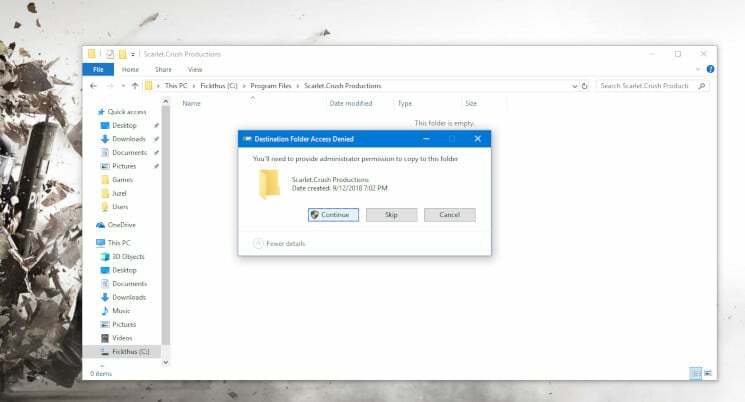 Open the Zadig folder inside the C:\Program Files\Scarlet.Crush Productions\bin folder and open the Zadig application. Click on Device > Load Preset Device and open or double-click on Bluetooth.cfg. Click on Options > List All Devices and locate your USB dongle from the drop-down menu. 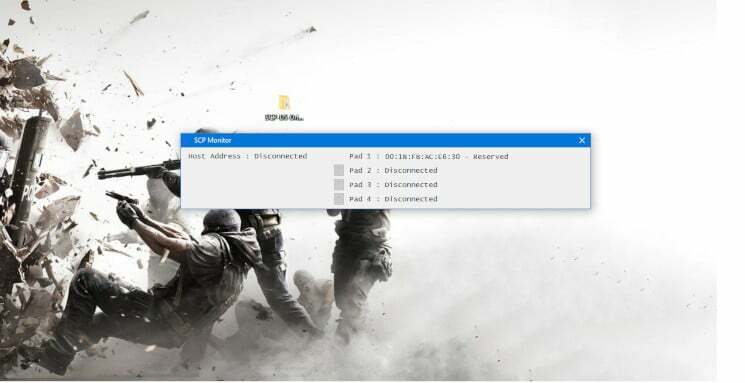 Open your Bluetooth and Other Devices settings and click on Device and printers under the Related Settings section (located at the right) to identify the USB dongle you want to connect your PS3 controller to. Click on Replace Driver after choosing the USB dongle you want to use as your dedicated PS3 Bluetooth dongle from the drop-down menu. IMPORTANT: It is recommended that you get a dedicated USB dongle for your PS3 controller because replacing the Bluetooth dongle’s driver will reconfigure it to only work with your PS3 controller and nothing else. You can technically re-download the original drivers, but going back and forth between drivers would be a huge pain and humans hate inconvenience. Check that the SCP Monitor has detected a Host Address. If it is registering your controller, then it will look somewhat like mine below; otherwise, nothing. Unplug your controller from the cable and it should connect your PS3 controller to your Windows 10 PC via Bluetooth. NOTE: Sometimes it won’t detect on your first try so just plug it back in and unplug it again and this should detect the controller after a few seconds. You can tell if it’s working if Pad 1 is showing BTH instead of USB as shown in the image below, otherwise, you can head over to the Calibrating and Ensuring It’s Connected section below to manually check if it’s connected. Download the ScpToolkit by clicking on the green Download button here. 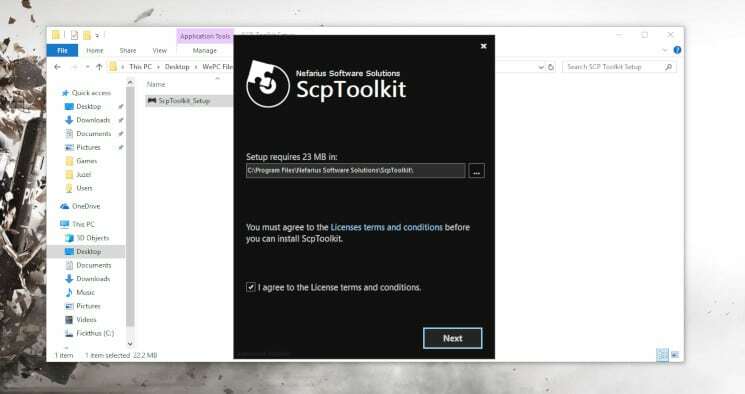 Open and install the ScpToolkit_Setup application you just downloaded. Click on the Run Driver Installer button after the installation. 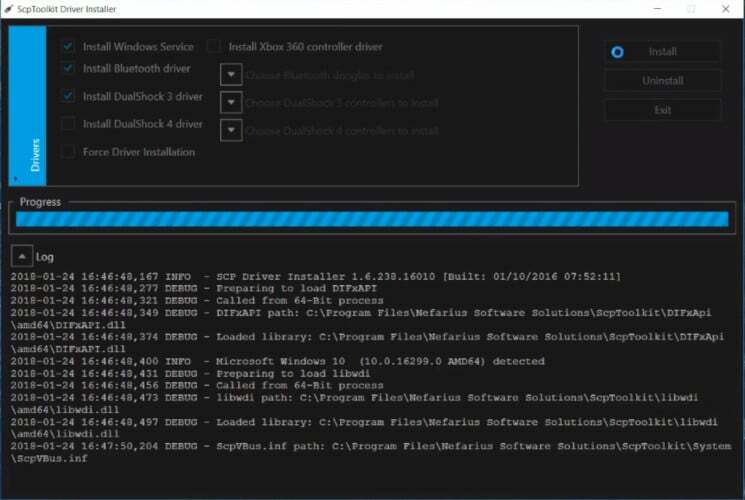 Here you will download the drivers you will be using. 4a: First, you will need to choose the drivers for your specific controller, so “Install DualShock 3 driver” for the PS3 controller and the “Install DualShock 4 driver” for a PS4 controller. 4b (Bluetooth): If you’re wanting to play wirelessly via Bluetooth, then check Install Bluetooth driver and then choose the Bluetooth device you want to use as your PS3/DualShock 3 PC dedicated dongle from the drop-down menu (again, assuming you want to use your PS3 controller via Bluetooth). Click on Install after confirming the devices you will be using. 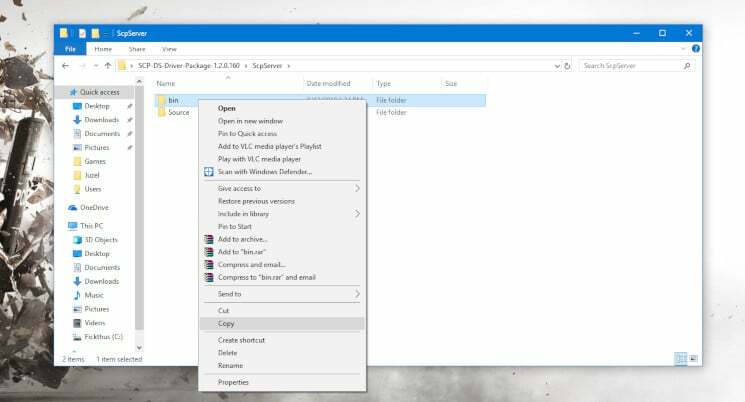 Keep in mind that pop-ups and audio cues may show up after the installation. Open the SCP Monitor to confirm the changes after the installation. If this looks similar to the image below, then this means you’re good to go and you should be able to use your DualShock 3 controller wired or wireless. To see whether it’s really working, open your Bluetooth and Other Devices settings again and click on Device and printers under the Related Settings section. 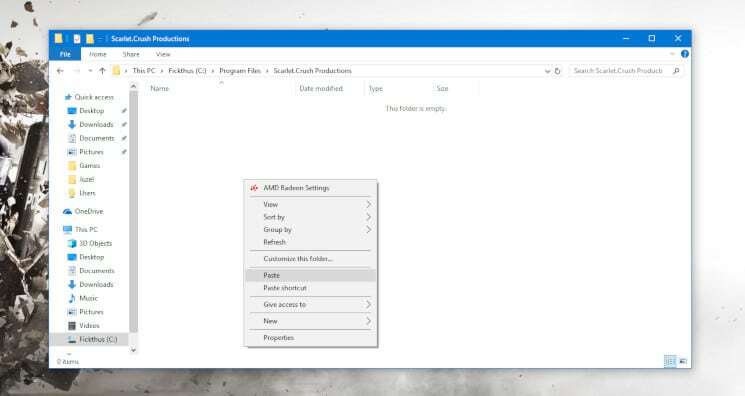 Open the control panel from the Start menu, then open Device and printers. You’ll notice that your PS3 controller is replaced with an Xbox 360 controller for Windows— that’s fine since the drivers we downloaded earlier are effectively tricking Windows into seeing the PS3 controller as an Xbox 360 controller. 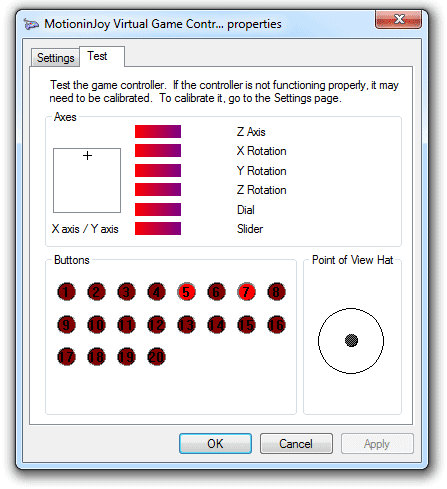 Right click on it, click on Game Controller Settings and click on Properties. If the buttons you press reflect real-time on the Properties Window, everything’s good to go. If this reflects the buttons you press on the controller, congratulations! You can now use your PS3 controller to play games that natively support console controllers! You may have also heard about MotioninJoy, a 3rd party software that lets you connect your PS3 controller to your PC. While this was a go-to method in the past, the interface has since changed and is now loaded with spam (and possibly viruses, too!). Even the download page redirects you to ads. Because of this, we highly recommend you avoid MotioninJoy at all costs and stick with the 2 methods mentioned. Whether or not you prefer using a console controller for gaming is totally subjective. And obviously, you’re not alone. There are a lot of competitive gamers out there who play better on a console controller than a traditional keyboard + mouse. Either way, I hope this tutorial showed you exactly how to use a PS3 controller on a PC. And if it didn’t, then don’t be afraid to let us know in the comments. Things like this can get confusing, especially if you’re generally not used to implementing these sorts of hacks yourself. And– as seen with MotioninJoy– services are constantly changing. Ask any questions and we will try to help! Greetings, I recently connected my new PS3 controller to PC. It works, my only quarrel is that the controller seems to come with deadzones on the thumbsticks and R2/L2 buttons. These deadzones are very extreme and I don’t know how to change them. On the SCP settings it tells me that the thumbsticks are at 0 for their deadzones, but they aren’t at all. If you have any information regarding this it would be greatly appreciated. Pless ned help. I instald everything everything worked, but later when i waned to use the controler again it not workek. I reisntald a tusen times but it never works is there a whay to fix it.